Hasan Alaradi shares his thoughts on the challenge of fostering a safety culture, and what needs to be done if working at height incidents are to be reduced. Research to identify health and safety issues across the Middle East found that improving the general health and safety culture within companies topped the list of priorities for the 192 senior decision-makers who took part in the study, with 51% saying it’s a current area of focus for them. It’s not that those interviewed don’t still want to tackle the common sources of problems. For instance, reducing fires is still a concern for 30%, a further 25% want to improve safety during maintenance, and 28% want to specifically make working at heights safer. It’s just that there’s an acknowledgement of a close interplay between getting the culture right and reducing accident levels. While individual companies can do a lot to improve their health and safety culture, and I’ll explore this more in a moment, I would argue that they cannot work in isolation; the wider health and safety culture across the Middle East needs to be tackled too if accident/incident levels are to fall. For me, there are still three cultural barriers which impact negatively on health and safety in the region. These can be identified as a ready-made attitude, the supremacy of the individual and the focus on targets. Our culture has long been dependent on others to develop and implement systems and technology. We are used to buying ready-made solutions to our needs, rather than going through the process of creating them ourselves. This is understandable, but it means that instilling a health and safety culture – a problem where money isn’t simply the answer and the solution requires deeper thinking – isn’t easily addressed. Indeed, the mindset to spend runs deep and health and safety budgets are often spent on the very latest equipment and technologies that are simply not a ‘must’ and often cannot even be maintained properly. The need and desire to show off and keep up with others is too prevalent, leading to money being wasted and attention being diverted from the things that matter. There is also an increasingly common trend for individuals to put their own needs before others, seeing personal gain as more important than the benefit to society as a whole. But with health and safety it’s often about the wider good; the actions an individual takes can have a huge impact on the wellbeing of others. It’s by everyone playing their part that everyone benefits. That’s quite a different mindset from the ‘what’s in it for me?’ culture. Finally, there is too much emphasis on hitting targets. This drives workers to cover up or remove negative events that will not reflect well in their records. Ultimately, this leads to lives being lost while time is wasted pretending work has been done to the letter of the law. It is often during the process of looking honestly at where things have gone wrong, however, that progress is made and health and safety lessons are learned. There are certainly several practical things that can be done at a macro level to counter these cultural issues. Firstly, we need the region’s governments to strengthen their enforcement bodies by investing in the right calibre and numbers of enforcing officers who are trained in HSE to a university standard. They must be given the authority to take enforcement action and prohibit unsafe business activities wherever necessary. Plus, they must have a direct reporting line into the highest authority in their country’s ‘Head of Government’. In our research 71% felt that poor enforcement of regulatory requirements was a key health and safety barrier in the Middle East. We must also review and develop advanced HSE legislation that is up-to-date and carries suitable, yet severe punishments. Fines and imprisonment will deter organisations from violating the law and endangering those involved. It must also be made mandatory to report statistics on an agreed frequency that is shared with all stakeholders, including the general public. This will create awareness of the scale of the problem, motivate organisations to improve, allow trends to be spotted and lessons to be learned. Investment in top quality training colleges is imperative. Governments must invest in providing suitable and internationally accredited courses that specialise in training both the public and private sectors. These should provide managers with hands-on skills to develop and implement HSE management systems that both work with the region’s culture, and meet international standards. This will encourage a culture amongst senior management of giving health and safety equal importance to any other facets of their business. The region should also establish a national safety award scheme to recognise individuals, as well as organisations, with outstanding proactive participation in raising HSE standards. This will shine the light on the rising stars and encourage the “what’s in it for me?” group to up their game. If the region as a whole takes these steps, the health and safety culture will improve and incident levels will fall. However, that’s not to absolve individual businesses of their own responsibility. If companies are serious about improving their accident and incident rates, and specifically making key areas such as working at heights much safer, they must take some action too. The first practical thing that they need to do is to be fully aware of their responsibilities. Beyond this, companies should also focus more of their efforts around prevention. For instance, there is a fundamentally wrong assumption among many employers that providing a harness is all that it takes to make working at height a safe task. This is synonymous with saying that safety footwear will prevent material falling on your toes; it is reducing the impact of the fall and not preventing it. A proper health and safety culture is prevention focussed. That requires thinking about health and safety far earlier in the decision-making cycle; as I said earlier, it’s not about simply buying a solution (such as a harness) but being prepared to have health and safety at the heart of your thinking. 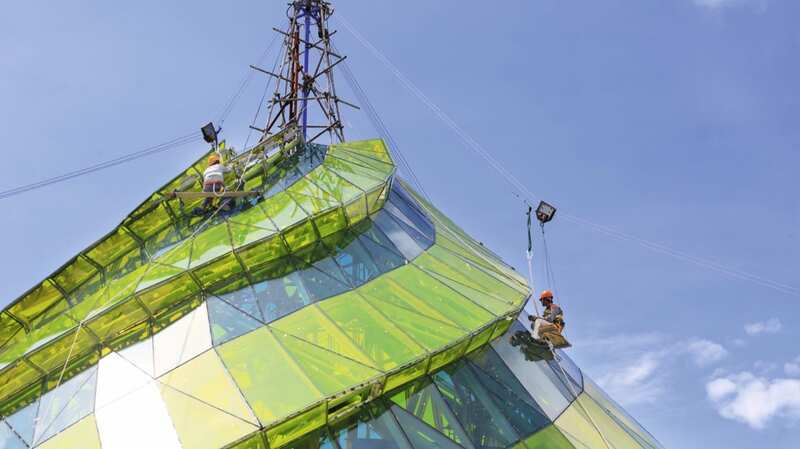 For instance, if a little bit of thinking went into designing buildings and other process structures to eliminate the need for people to work at height, accidents could be reduced. Say, if we designed windows that could be cleaned from the inside of the building, accessing them from the outside would be avoided and thus a major contributor to working at height accidents would be reduced. Where working at heights cannot be avoided, companies need to ensure that good common standards are in place and enforced, designed to prevent falls. This includes building rigid fixed barriers, edge protection on roofs and physically preventing the fall of the person or of objects. The latter is an important point; equipment such as electric drills can be easily dropped, but also the little objects such as nails and screws or even rubble can cause significant injury when falling from a height. Such standards should also include using access equipment appropriately selected for the task. Again, planning and design are indispensable in creating this culture. Platforms should be constructed so materials or object cannot fall and close-boarded platforms should be used. Tools such as drill should be attached to safety lines. Companies should also use all means possible to minimise the distance and consequences of a fall should one occur. The person working at height should use some approved type of fall arrest equipment and or build the working platform into stages to shorten the landing of a fall. The final practical step for creating a culture to minimise working at height issues is assessment. Legislation requires that adequate and sufficient risk assessment be conducted for any task to be performed which includes working at height. The assessment must be carried out by a competent person to ensure that all health and safety requirements have been met. This must be recorded and will determine what the most suitable access equipment is and the control measures to be followed for that specific job. Such assessment demands rigour. Beyond these very practical steps, companies also need to think about and mitigate against some very specific cultural challenges that they face in employing a diverse workforce. For instance, 49% of the 197 companies we studied say that their workers who come from generally poorer countries have a different tolerance of risk and this impacts on health and safety. A further 62% say these workers simply don’t have a strong occupational health and safety background. Language barriers are an issue for 43% and 48% argue that these workers themselves are often not led by competent management teams. As with the macro situation, the solution for these cultural and practical company issues involves training. Companies need training that equips people to be competent to do a risk assessment; training that gets the whole work force to a common standard plus training that shows managers how to safely manage them; training that focuses on compliance; training that develops a supervisor’s HSE skills; job specific plus training for specific high risk situations such as working at height. For companies to develop the health and safety culture shift that 51% clearly crave, they need to have a clear training strategy that delivers all of this and takes into account the huge challenge of a multicultural workforce. That means training that perhaps relies on pictures, diagrams and video rather than just the written words. Training that’s delivered in multiple languages and that allows for the differences between employee groups, in terms of their roles and knowledge. In short, as with all areas of health and safety, minimising working at heights incidents requires companies having both the right culture and competencies – and training has an important role to play in delivering both. Those who recognise this will be less likely to ‘fall’ into the many health and safety traps that present themselves when staff and suppliers are working at heights. There are some great examples of organisations in the region using training to instil a safety culture and minimise incidents. For instance, RRC Middle East helped Oman Oil Refineries and Petroleum Industries Company (ORPIC) conduct a complete turnaround of its refinery in Sohar, resulting in no delays and no medical treatment cases occurring during the high risk 2,505,250 man-hour operation. The huge biannual maintenance project is necessary to ensure the safety of the whole operation as well as the integrity of the plant by identifying corroded pipes, vessels and instruments that need changing. 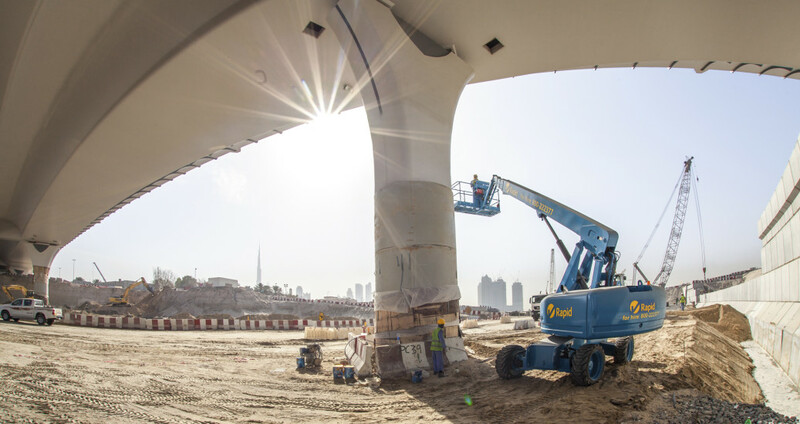 It also means replacing equipment that would need a process shutdown to complete and includes very high risk maintenance activities including a lot of working at heights. The turnaround took two months and involved opening vessels, replacing equipment, repairing pipelines and carrying out general maintenance tasks on the large site. With 4,288 pieces of equipment maintained and 7,223 contractors and staff trained, this task could easily have resulted in accidents, plant damage and costly delays if not managed professionally. Safe working practices were vital as the contractors were working on the refinery’s critical process areas containing highly flammable hydrocarbons. This requires extra knowledge and precautions necessary for working in a potentially explosive atmosphere. It is also a legal requirement to train workers in basic fire-fighting when entering such a workplace, as well as those who are working in a confined space, at height or who have responsibility for approving or receiving work permits. In addition, equipment and process units designed and built to run at normal conditions, such as pipes, vessels, pumps and exchangers, are opened during the turnaround. Thus, workers enter places that aren’t designed for work and may contain specific hazards that could be life threatening if the correct precautions are not taken. As part of its training provision, RRC’s team examined the role each worker and contractor had in the shutdown process, gauging the training requirements of each. 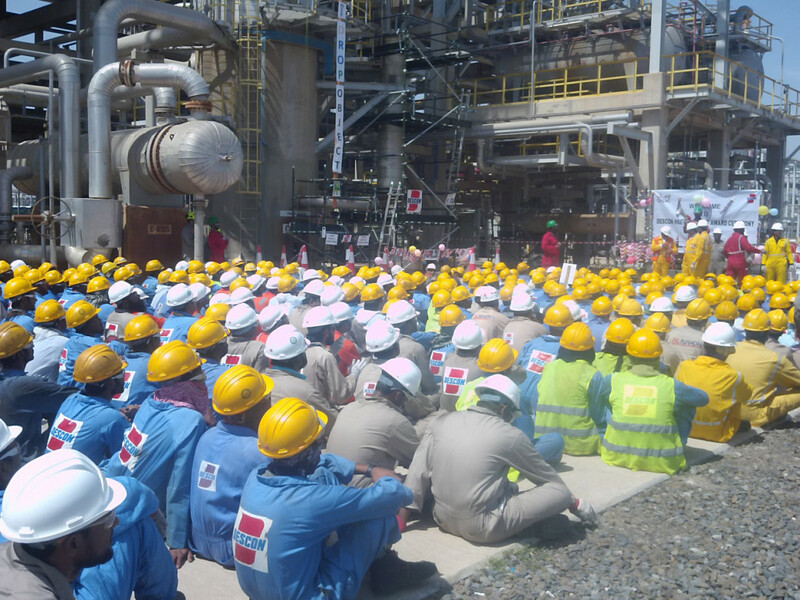 In the case of the Sohar site, all 7,223 workers needed induction training prior to entering the plant. This covered all the important information on the specific hazards in the plant, what to do in the event of an emergency, the general plant safety rules, the legal duty of all parties involved in the project and the welfare facility available for them. The induction training was delivered in the plant training room a week before the project’s start date and ran for the duration of the whole project. RRC Middle East also gave 2,727 workers specific training such as permit-to-work, confined space entry and working at heights courses. Three RRC specialists conducted this training in the dedicated training room using a mix of videos and practical demonstrations, followed by a written assessment. RRC’s team also audited a total of 422 permits-to-work and monitored all work at the plant from a safety perspective during the turnaround, identifying 2,260 potentially unsafe actions or conditions on site, which the RRC experts quickly corrected. The end result was that the refinery was turned around within the two-month timeframe with no delays and no medical treatment cases arising from the operation.